I am so sorry that I've been away for a couple days. Wednesday I dealt with an emergency so it kept me at work longer than I wanted to be. Thursday I designed a bunch of cards, but worked a night shift so didn't have a chance to post it, Friday I worked and was away, and Saturday and Sunday I worked all day...so needless to say I've been busy, and while I haven't been posting, I have been keeping good and making a card a day. That exciting news that I have been talking about I will be able to share with you over the next couple days. I totally cannot wait to share this with you and get started with it. As far as this card goes...I promised that I would do something slightly different than Birthday or Wedding/Love, so here it is. 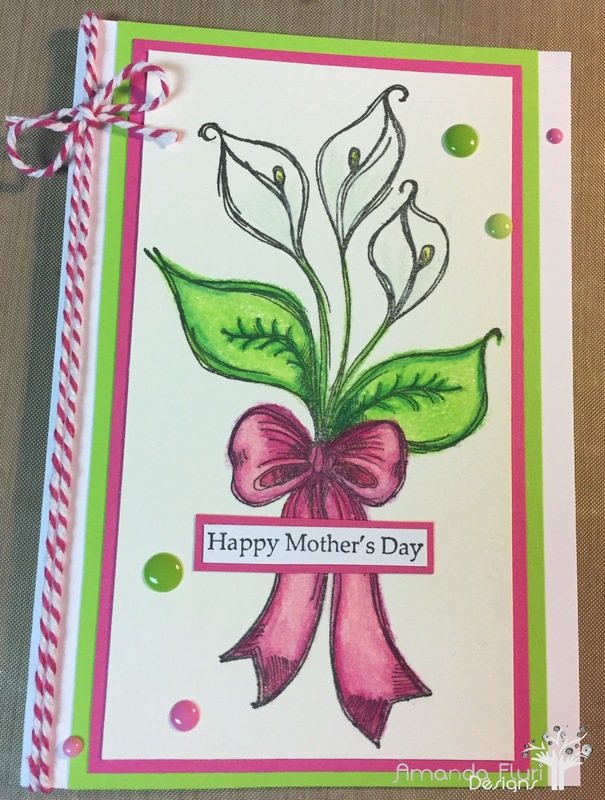 I created this Mother's Day card for an order that I have been working on. I was so excited to play with 2 of my favourite colours. 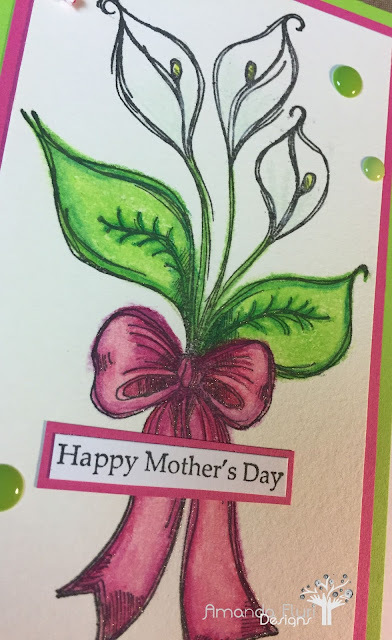 I also got to play with my prisma coloured pencil crayons, which I haven't gotten to play with all that much prior to this, but I really enjoyed it, and I think that I am going to be using them ALOT in the future. I added some stardust glitter to the ribbon and love that you can see it here in the pictures. 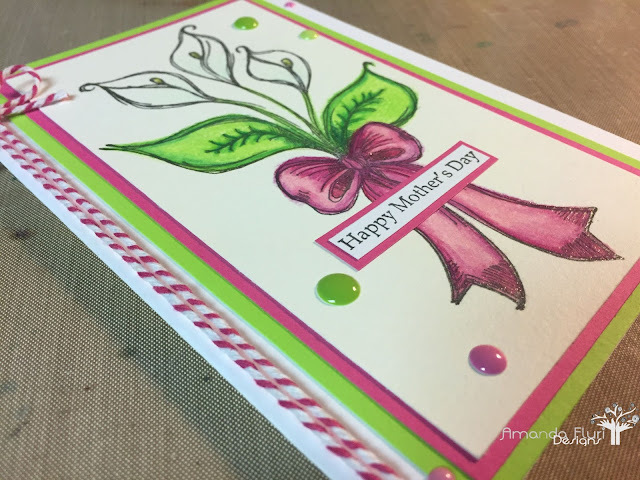 I think that it finishes off the card really nicely and gives it that little shimmer that it needs.